That’s right, the ‘Crime Dog’ turns 51 today!!! Fred McGriff is arguably one of the most underrated baseball players from the last 20 years. An extremely consistent hitter over the course of his 19-year career, McGriff added solid hitting and amazing power to the line-up. Fred McGriff is a 5-time All-Star and winner of 3 Silver Slugger Awards. He is a lifetime .284 hitter with 2,490 career hits. 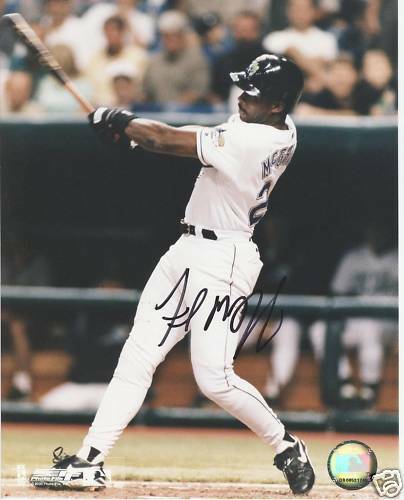 Over 19 seasons, McGriff connected for 441 doubles and 493 home runs. He also scored 1,349 runs while driving in 1,550. McGriff was a consistent MVP candidate for half of his years in the league. And he was a fan favorite too. Happy Birthday to the ‘Crime Dog’!!! 1993 HEADLINE: Joe Carter’s Dynamic Home Run Captures The World Series For Toronto!!! 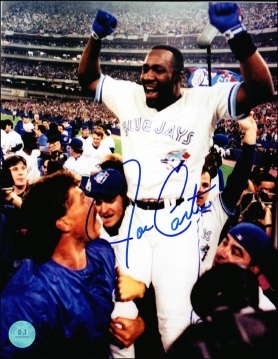 On this day in 1993 Joe Carter hit one of the most recognizable home runs in World Series history. On baseball’s biggest stage, he rose to the occasion and secured his spot as one of the game’s biggest heroes. I remember watching this game and seeing the joy in Joe’s eyes, smile, and body language as he rounded the bases after blasting this huge World Series winning home run. As kids, we all dream of this exact spot that Joe Carter was in on that night in October. His boyhood dream became reality right in front of our eyes and it was an amazing sight to witness. George Bell turns 55 years old today. 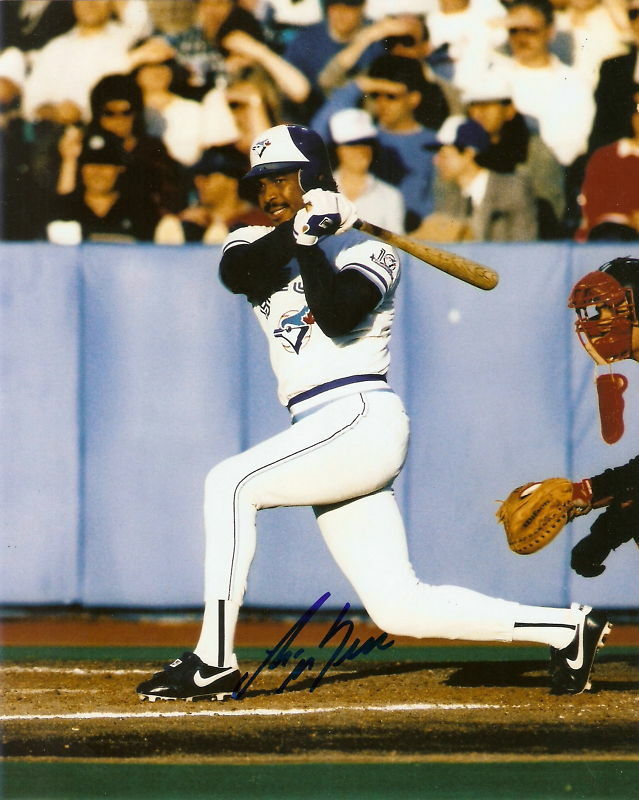 One of the sport’s biggest sluggers during the late 1980’s, George Bell was a hitting machine during his time with the Toronto Blue Jays. Seen primarily as a slugger, Bell did have a knack for delivering the longball and driving in runs, but he was also a very talented contact hitter. During his playing days, Bell amassed 1,702 career hits along with a batting average of .278. 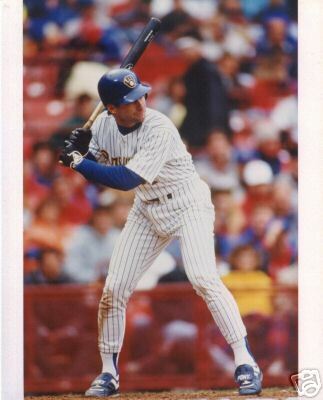 He won three Silver Slugger awards and had two seasons (1986 & 1987) in which he batted above .300. As for his power numbers, Bell crushed 265 homers in 12 seasons while also driving in 1,002 runs. His numbers were so impressive in 1987 that he won the AL MVP award. The numbers from that year were unreal – .308/47/134. George Bell was a 3-time All-Star. He competed in the postseason twice, but never advanced to the World Series. On this day in 1982, Paul Molitor collected the first 5-hit game in World Series history!!! In Game 1, and on the road in St. Louis, Molitor did everything possible to help put his Brewers in the best position to win. His box score looking something like this – 6 at bats, 5 hits, 2 RBI, 1 run scored. And most importantly, the Brewers won the game 10-0. 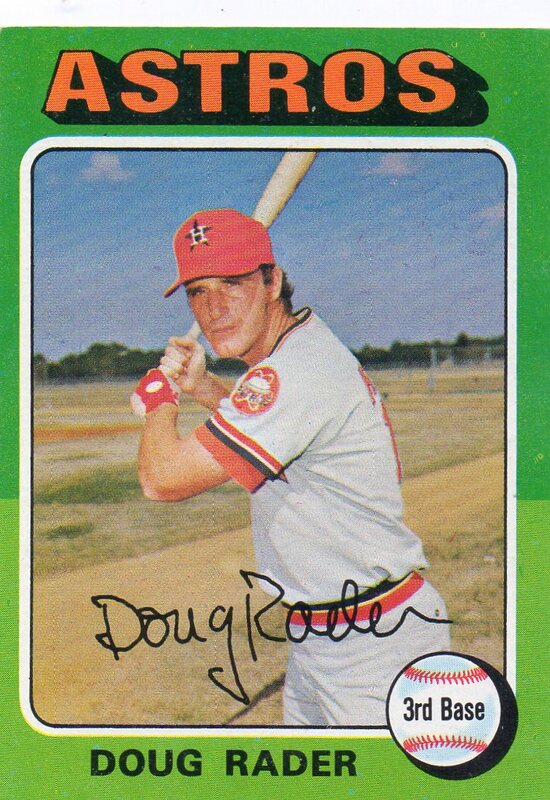 Notes From His 1975 Season: Doug Rader played in 129 games for the Houston Astros in 1975. He connected for 100 hits in 448 at-bats during the year earning him a .223 batting average. Rader drove in 48 runs over the course of the season while scoring 41 times. Notes From Career: Doug Rader is a career .251 hitter that played for three different teams during his 11-year career. He has 1,302 career hits to his credit including 245 doubles and 155 home runs. Rader won five consecutive Gold Glove Awards from 1970-74 for his excellent defensive play at 3rd base. On this day in 2010, Roy Halladay threw a no-hitter against the Cincinnati Reds. The game was played in Philadelphia at Citizen’s Bank Park and was Game 1 of the NLDS. Halladay’s stat line looked like this – complete game, 104 pitches, 8 strikeouts, 1 walk, 12 ground ball outs, 7 fly ball outs, and 1 line drive out. Halladay’s no-hitter was the first post-season no-hitter since Don Larsen’s perfect game in the 1956 World Series. 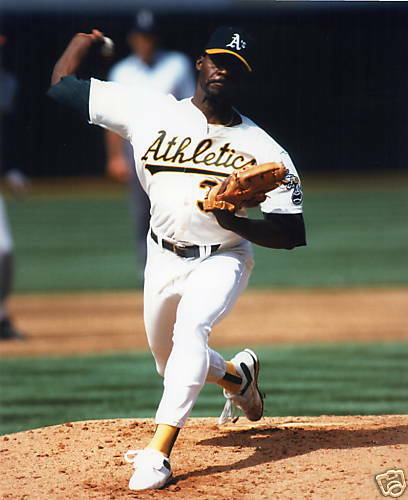 On this day in 1989, Dave Stewart of the Oakland Athletics won his 20th win of the baseball season. The win gave Stewart 20 or more wins in three consecutive seasons, confirming his status as the team’s ace as well as being one of the best pitchers in the major leagues. How did he fare in 1990? Hmmmm… How about 22 wins?!?! Congratulations on a fantastic baseball career Mr. Stewart! Happy Anniversary!! !